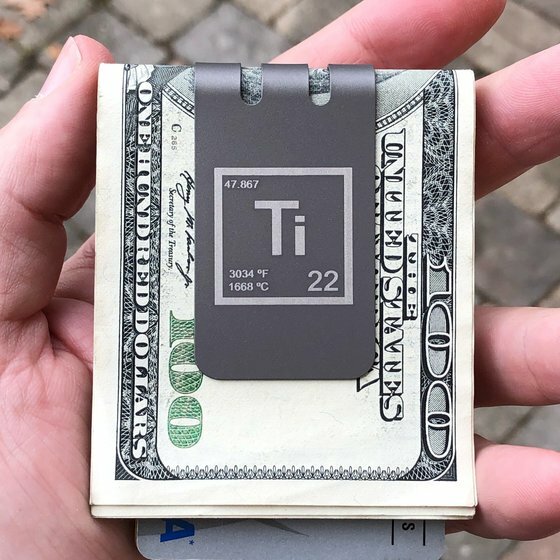 Badass Money Clip Series by Superior Titanium Products, Inc.
We spared no expense creating this edgy new money clip series. 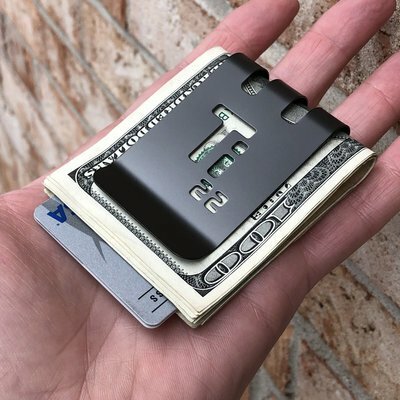 Starting with our proven mini-VIPER™ titanium money clip, which is fabricated from 100% American titanium and manufactured entirely in Canada and the USA, we added a premium black diamond finish. 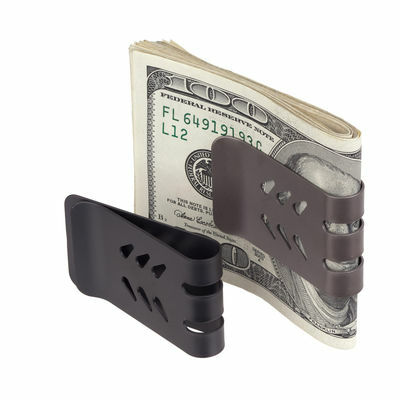 UPDATE: Now also available on our full size VIPER™ titanium money clips! 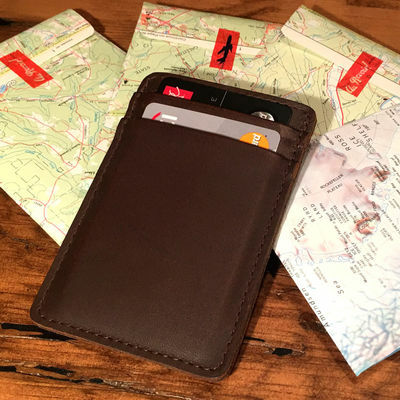 Not sure which money clip to choose? 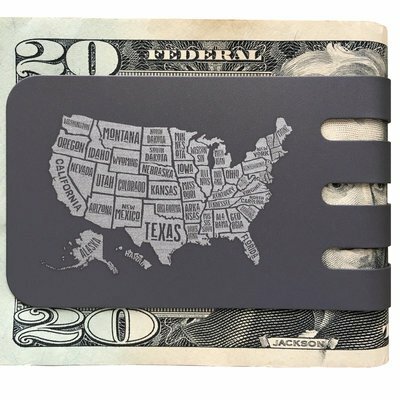 Use our MONEY CLIP SELECTOR to confirm the perfect sized money clip based on your specific capacity needs. The black diamond finish is created by putting carbon through a plasma field and bonding it directly to the titanium atoms in a diamond like structure. This makes for one tough finish! Beware those who use a cheap powdercoat or electroplated black coatings. These may look similar, but they are not even close in durability. 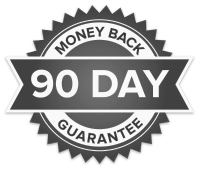 There is no equivalent to the black diamond coating in terms of toughness of longevity. See our video demonstrating the black diamond finish on our new T-60 titanium money clip. If you care about finish quality this is a great video to watch. Next we permanently etch the designs directly into the titanium using an extremely high precision process. Sure, we could have saved some money and just screen printed the designs, but that's not how we roll! Screen printing looks good at first, but after use it will start to wear off. For those looking for quality and longevity we only recommend products like this that use a permanent etching process. In the long run buying quality pays off. I purchased a Viper mini money clip a few weeks ago and wanted to let you know it is by FAR the best money clip I have ever used. I've been searching for a few years now and been through multiple other clips in trying to find the perfect clip. The Viper mini is that clip. Thanks and keep up the great work!